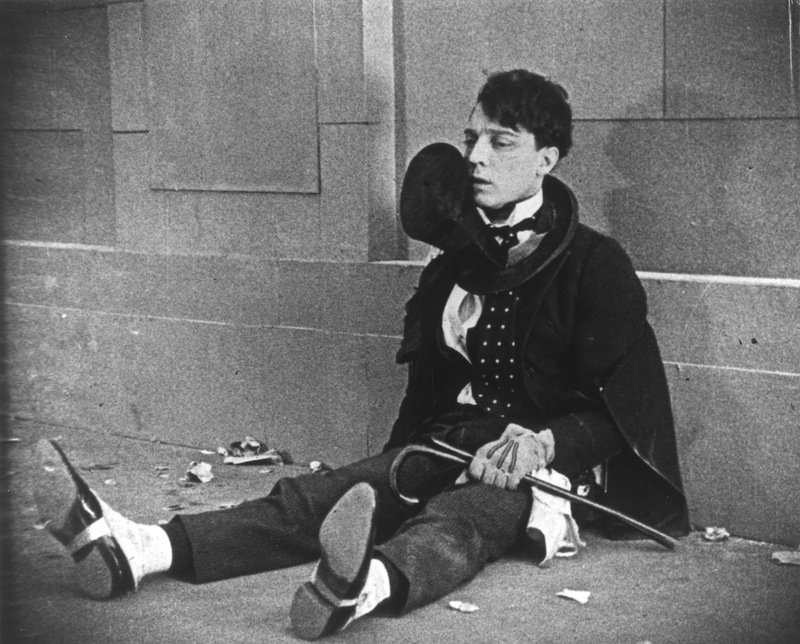 Blu-ray Review | "The Saphead"
By 1920, Buster Keaton had completed his apprenticeship under Roscoe "Fatty" Arbuckle and embarked on a series of solo short films (which were all released by Kino Lorber last year in an excellent 3-disc set) that lead up to his first solo feature, Three Ages, in 1923. 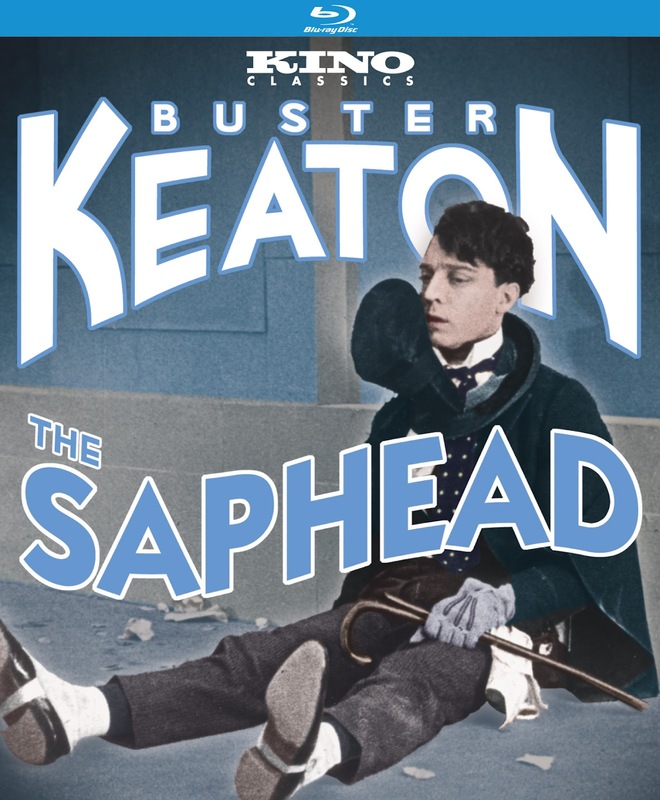 But prior to that, Keaton starred in his first feature length film, The Saphead in 1920, in the midst of working on his two-reel comedy shorts. Based on the play, "The Henrietta," by Bronson Howard and Winchell Smith, The Saphead is often overlooked by Keaton fans and historians because of its unusual place in Keaton's career. Not based on his own work, the film is indeed something of an anomaly in the Keaton canon, and Three Ages is perhaps more rightfully looked upon as the beginning of Keaton's feature career. Yet The Saphead remains an important piece of the Keaton puzzle, even if it isn't his best work or one of his original comedic creations. Keaton was recommended for the role by none other than Douglas Fairbanks, who had originated the role onstage. And indeed it does seem tailor made for the stone-faced Keaton, who uses it as a spring board for the character that he would hone in later films such as Battling Butler. As Bertie Van Alstyne, the shiftless air of a wealthy businessman, Keaton must set out on his own and make a man of himself if he has any hope of winning the woman he loves. The Saphead doesn't feature the sort of physical comedy that Keaton would come to be known for, but his deadpan personality imbues it with that familiar, almost innocent, charm. Yet it feels different, somehow. Keaton isn't in his element here. It's clearly a handsome production, but Keaton is clearly at the mercy of someone else's whims. Still, it's important as a piece of cinematic history, and even as the film seems to meander, it's still impossible to take your eyes off its star. Keaton had an uncanny knack of making nearly anything funny with just a perfect timed glance, and that instinct is on display here. 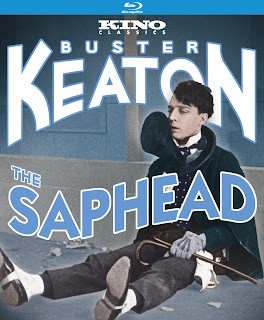 While the two-reel shorts Keaton was making concurrently with this are far greater showcases of his talents, watching The Saphead with the full knowledge of what Keaton would become offers a unique insight into one of the cinema's greatest comedic talents. Kino's blu-ray edition treats the film with a reverence perhaps beyond what it deserves on its own, but it's a comprehensive set, including a complete alternate version of the film composed of different takes and angles, along with a history of the two versions. Kino continues its devotion to Keaton's oeuvre with yet another excellent presentation, even if the film in question is ultimately a minor work. Now available on DVD and blu-ray from Kino Lorber. Review | "Where Do We Go Now?" Blu-ray Review | "The Turin Horse"
On "The Dark Knight Rises"
Blu-ray Review | "Once Upon a Time in Anatolia"
Blu-ray Review | "Little Lord Fauntleroy"